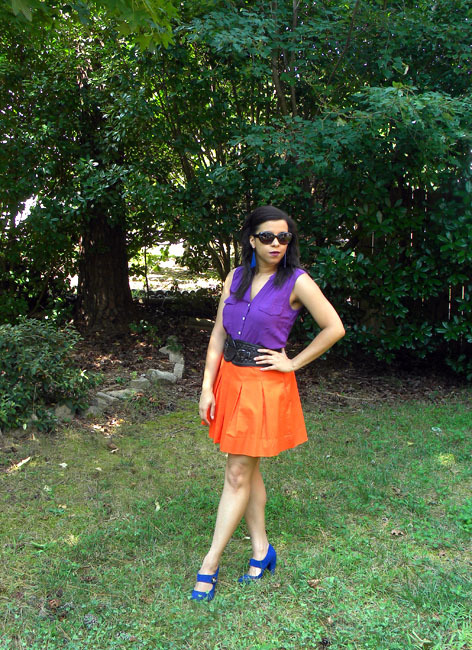 For the fall color blocking is still huge. 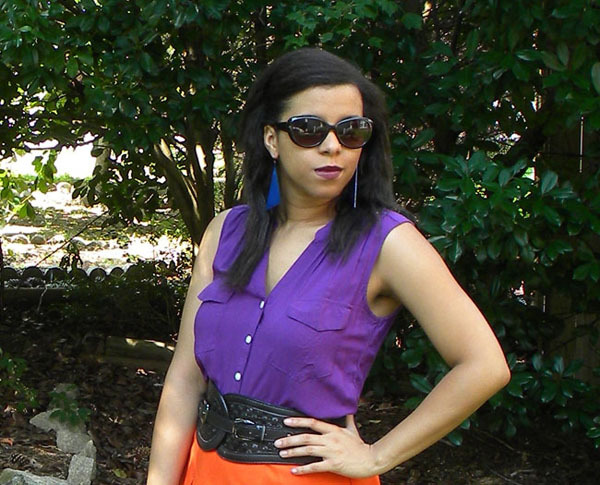 I think it is one of those trends that should stick around because everyone can pull off this look easy! Here I mixed a popular color combination along with a major trend for this fall cobalt (aka Sapphire - because it's my birthstone!). Here I played it up and made it a little on dressier side breaking up the colors with a black belt to better define my waist. 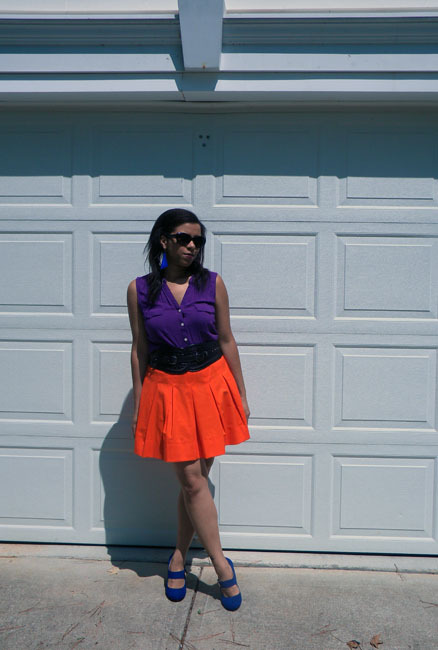 What are your favorite colors to color block?